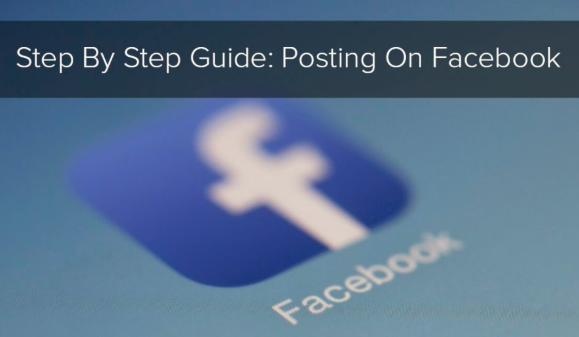 This I teaches you How To Post Something On Facebook, both in the mobile app and on the Facebook web site. posts can have text, pictures, video clips, and location information. You could post on your own page, a friend page, or on the page of a team that you're a part of. - If you aren't visited, enter your e-mail address (or phone number) as well as password in the top-right side of the page. - a friend page - Click the search bar at the top of the screen, enter a friend name, click their name, then click their account image. 3. Click the post box. This box goes to the top of the Information Feed. If you're posting to a friend page or a team page, you'll locate the post box below the cover photo. 4. Add text to your post. Type your content right into the post box. You can also add a tinted history by clicking among the color blocks below the text box. - Colored histories are only supported for posts of 130 personalities or fewer. -Photo/Video - Allows you to select a picture or video from your computer system to submit to the post. -Tag Friends - Permits you to pick a friend or group of Friends to mark in the post. Tagged Friends will get the post on their own web pages. -Check in - Lets you include an address or a location to your post. -Feeling/Activity - Allows you pick an emotion or activity to add to the post.